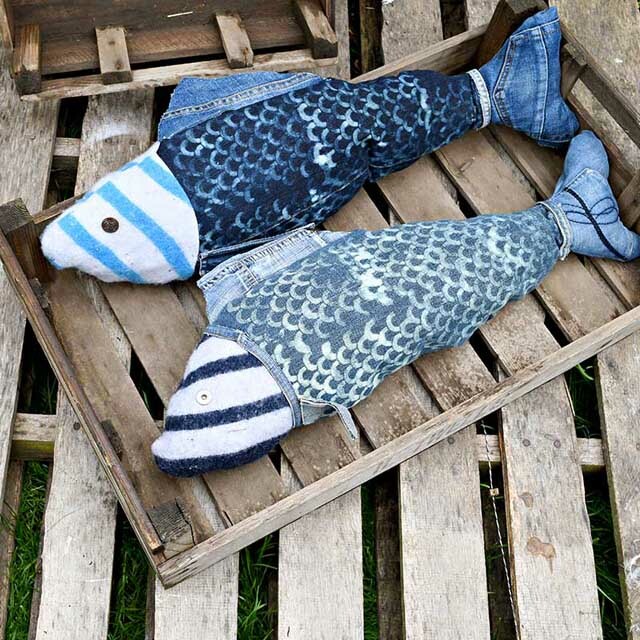 Claire, from Pillar Box Blue, shows how to make Fish Pillows, using pre-loved denim jeans and felted sweater fabric. The detailed tutorial shows how to use bleach and the provided fish scale template to create a realistic finish to the pillows. They look brilliant! Well done Claire!